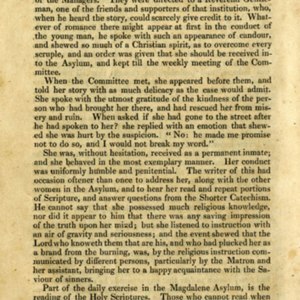 Alec Follett, "140 years of Introductions: A Cautiously Optimistic Historiography of the Scottish Chapbook"
Sierra Dye, "Consumers and Producers: Chapbooks and Women in Scottish Society"
The history of Elizabeth Stewart. 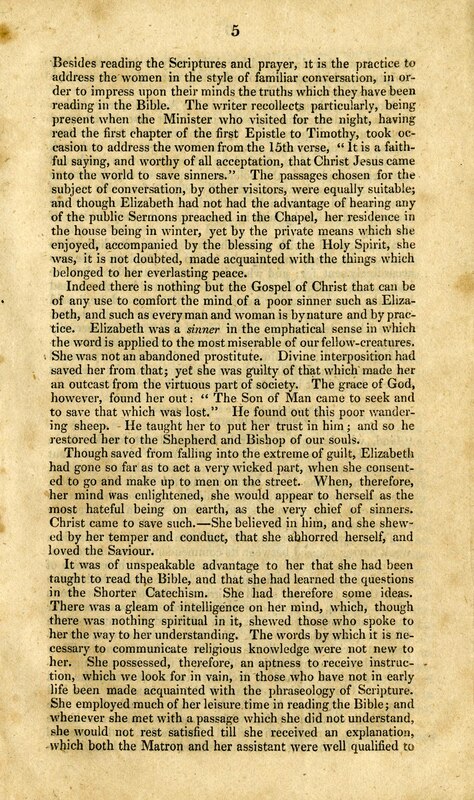 An authentic narrative. 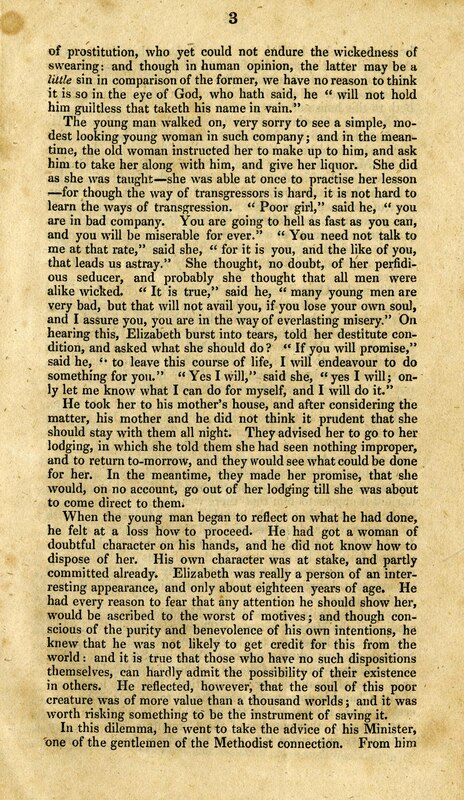 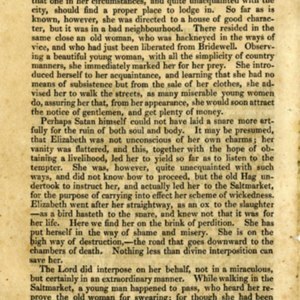 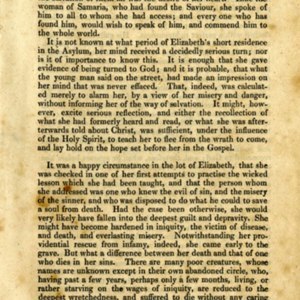 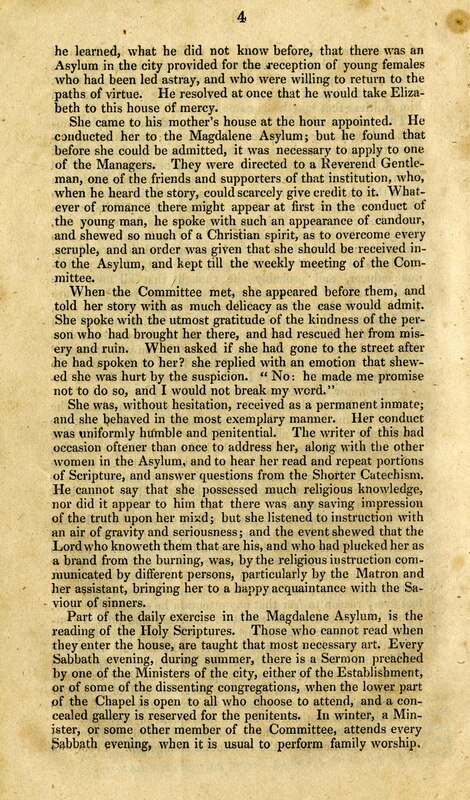 This chapbook is presented as a short biography of a young woman who encounters a series of unfortunate events that lead her into sin, but is rescued from a complete degredation and prostitution by the intervention of a young man on the street. 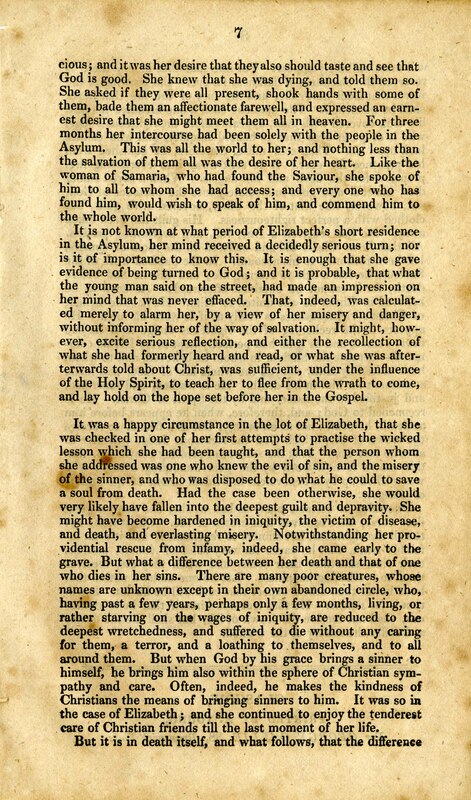 She ends up in an Asylum for reformed prostitutes, where she is saved by religious instruction just in time for her to shortly die of an unspecified illness. 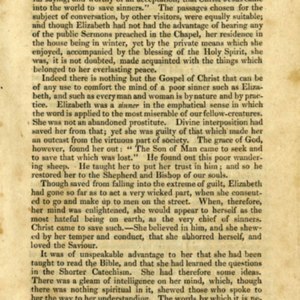 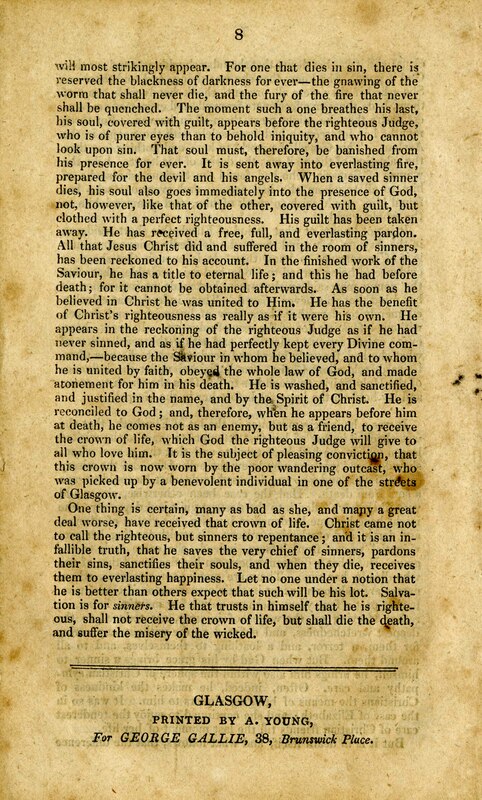 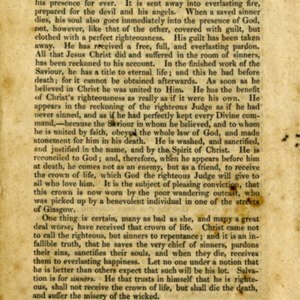 The tone of the publication is religious and moral and meant to teach the readers of the benefit of religious instruction and faith, even in adversity. 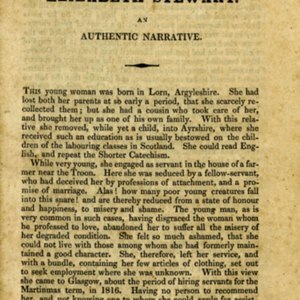 “The history of Elizabeth Stewart. 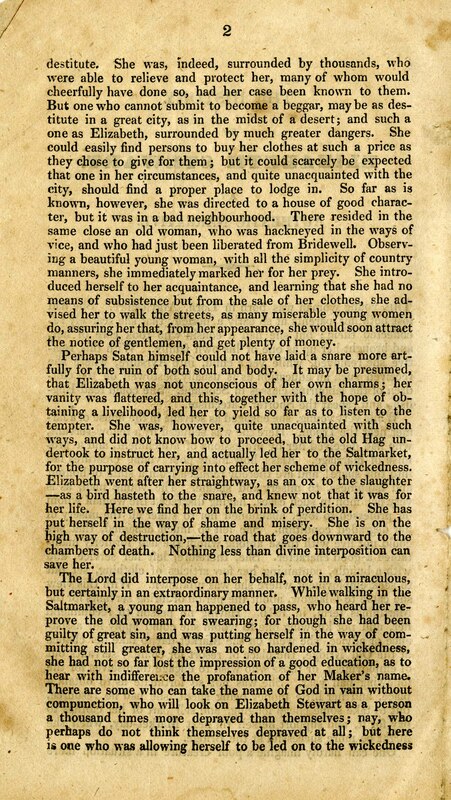 An authentic narrative.,” Scottish Chapbooks, accessed April 25, 2019, https://scottishchapbooks.lib.uoguelph.ca/items/show/541.